I think most parents of preschool children will know who Mr Bloom is. He is the guy that makes veggies cool! 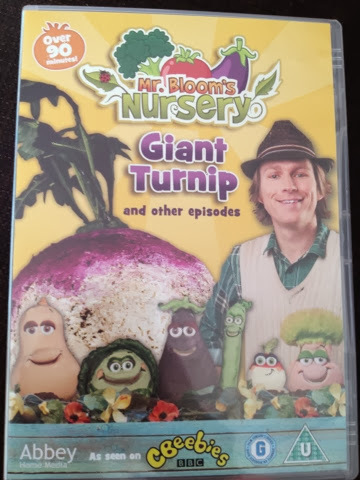 'Mr Bloom's Nursery Giant Turnip and other episodes' dropped through our letterbox and I knew it would be a hit with Gracie straight away. This summer we were lucky enough to see Mr Bloom live in Leicester and the kids loved it. Since then Gracie has been happily trying anything grown in the garden at either our house or Nanny's. Mr Bloom's has a helping hand each episode from the Tiddlers (children) and his veggie friends, the veggies all have names and can talk making them loveable to children watching. I think it is a fantastic way of showing children how vegetables and plants are made and that they don't come straight from a shop. 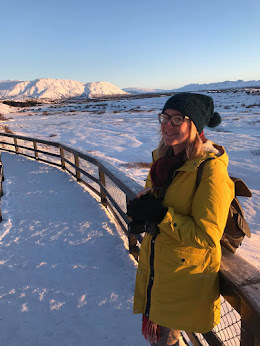 It also encourages them to have a go themselves, Gracie has become a keen gardener over the last few months and enjoys watching her plants grow. The DVD contains four different episodes of the hit cbeebies TV series and lasts 90 minutes which is perfect in my opinion for a preschooler. The DVD is definitely worth buying for your Tiddlers and can be bought from all good DVD retailers. The lovely team at Abbey Home Media have given me three copies of Mr Bloom's Nursery Giant Turnip to giveaway to some lucky readers so enter via the rafflecopter form below and three of you could win one copy each for your little Tiddlers. Open to UK only. The competition will end 14/11/2013 at 12am. The blog owner will choose the winner through the rafflecopter form (which uses random.org) The winner will be notified by email and displayed on the widget. The winner will then have 10 days to claim their prize. If the winner hasn't claimed their prize after 10 days another winner will be drawn. No alternative prize will be offered. We were sent a copy of the DVD free of charge for the purpose of this review. All opinions are my own. My cousin's grandchildren barney and mia . If I won it would go to my 3 beautiful children. my 2 year old boy..he loves him!